Welcome to another episode of 10Backward. This episode, we are talking about the role of the Counselor on Star Trek. 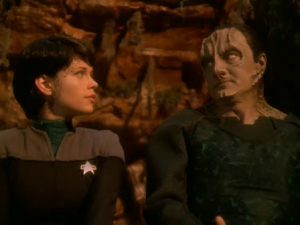 We’re joined by Dr Alice Turland, as we examine three episodes, Hollow Pursuits, Hero Worship and Afterimage to see how the approaches taken by Troi and Ezri Dax compare to the real world techniques.